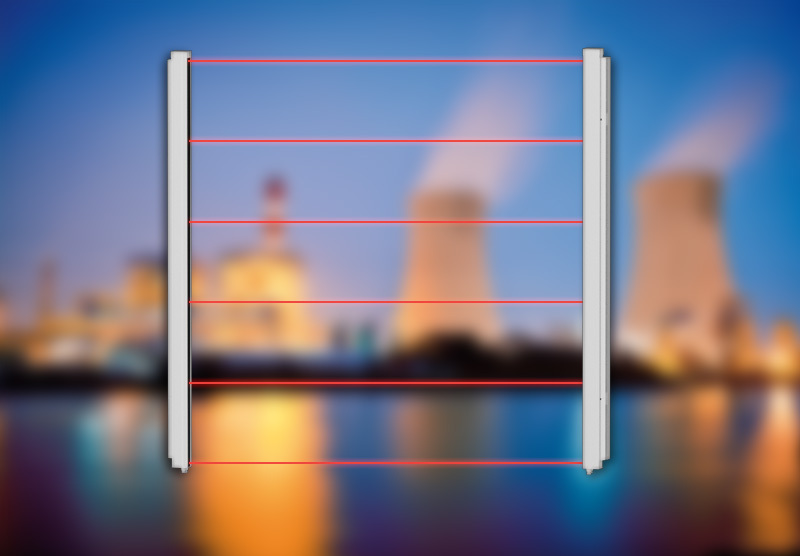 MINIRIS II infrared barriers are specially designed for building façades and are, therefore, suitable for industrial or residential sites. 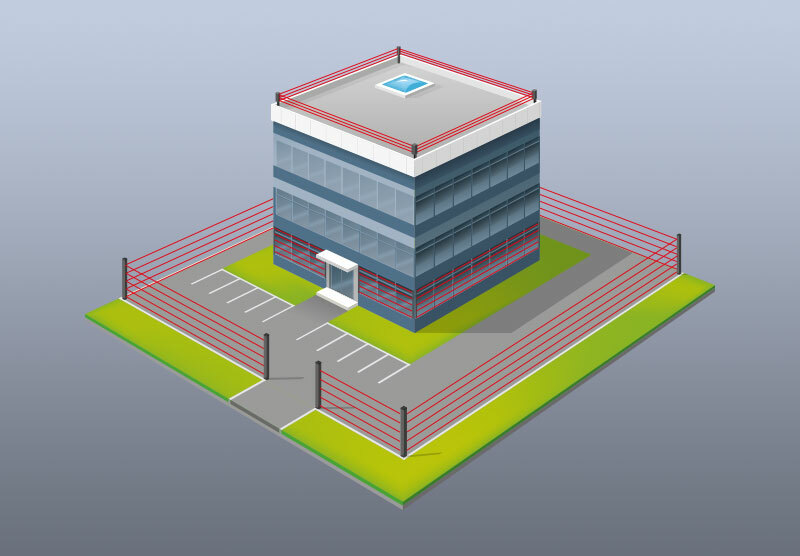 With a maximum of 12 beams, MINIRIS II barriers offer a high level of security, made reliable by optical synchronisation and the differentiation of barriers through selectable channels. With an aluminium structure, little space requirement and hinge brackets which can be rotated 90°, MINIRIS II adapts perfectly to any configuration of the site to be protected. Structure Reinforced aluminium, ivory-white, plastic cover. 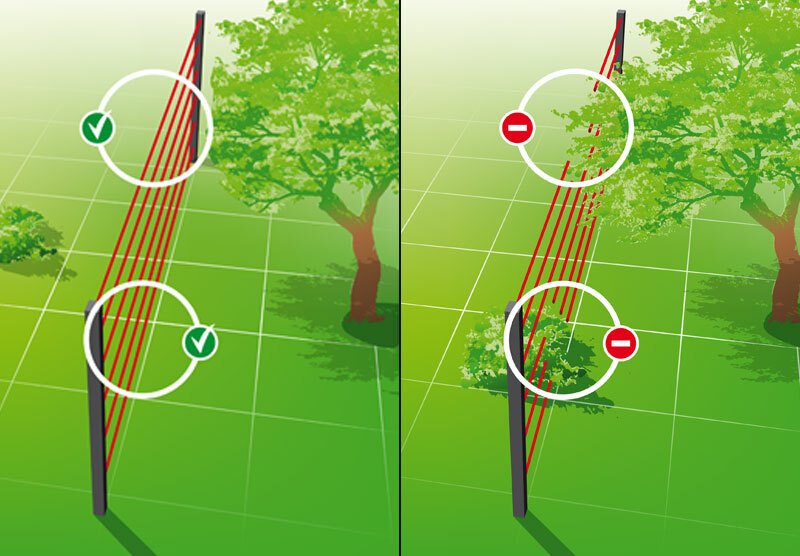 To use the barriers correctly, it is important to ensure that the barrier is not installed on an unstable support (e.g. badly sealed pole, etc.). 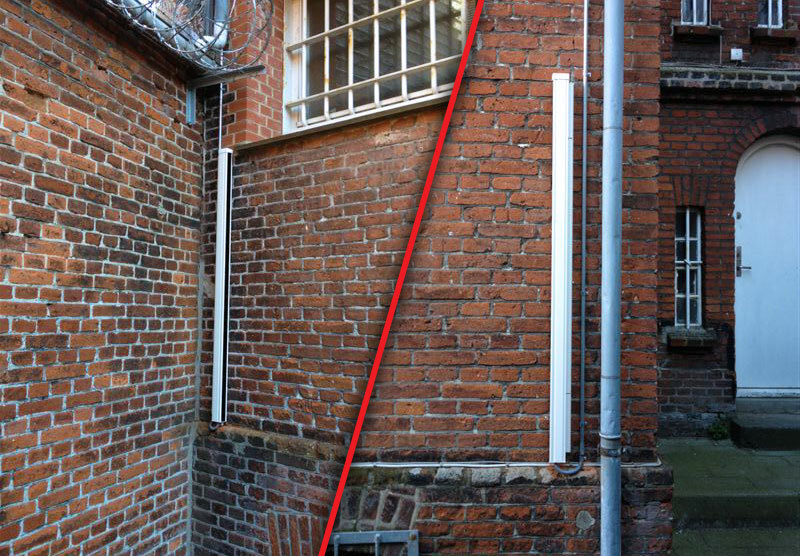 Before installing an infrared barrier, check that the ground is quite level and will guarantee the stability of the columns with time. A maximum of 10° elevation may be tolerated between the columns. In case of elevation above 10°, contact SORHEA’s sales department. Check that no vegetation can block the beams, no matter the season and weather condition (wind). It is also important to check the cleanliness of the covers: it is important to clean them with a soft and damp cloth at least once a year. This technology works at a wavelength above that of visible light (950nm), which makes the IR beam invisible to the naked eye. The infrared beams are transmitted and received by infrared cells. The transmitter cellsgenerate a pulsed beam that is sent towards the receiver cellswhich capture the infrared pulses and transform them into electrical signals. In the absence or variation of the signal (loss of 95% of the transmitted signal), an intrusion alarm is triggered. To prevent the receiver cells from being interfered with by the transmitted infrared beams thecells are multiplexed. This principle consists in transmitting an infrared pulse in a synchronised manner, via an optical or wired link between the transmitter and receiver columns. This feature is also used to optimize the alignment of the cells (“alignment feedback”). All the SORHEA IR barriers are multiplexed (except UNIRIS II & BIRIS II).